Madani Channel is a well-known religious Channel of Pakistan. 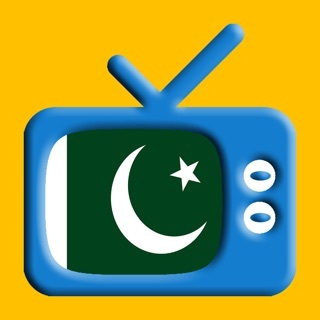 It is the only 100% pure Islamic Channel free from ads, music, females etc. The Channel has a wide range of top rated Islamic TV Programs watched by millions of Muslims every day from across the globe. By the grace of Allah عزوجل, as a result of the tremendous efforts made by the I.T Majlis of Dawat-e-Islami [a global non-political movement for preaching of Quran and Sunnah] an excellent Mobile App namely ‘Madani Channel (Official)’ has been designed. - Multi dimensions features with live update facility. - Core substance is Live Madani Channel 24 x 7 x 365 day’s transmission. 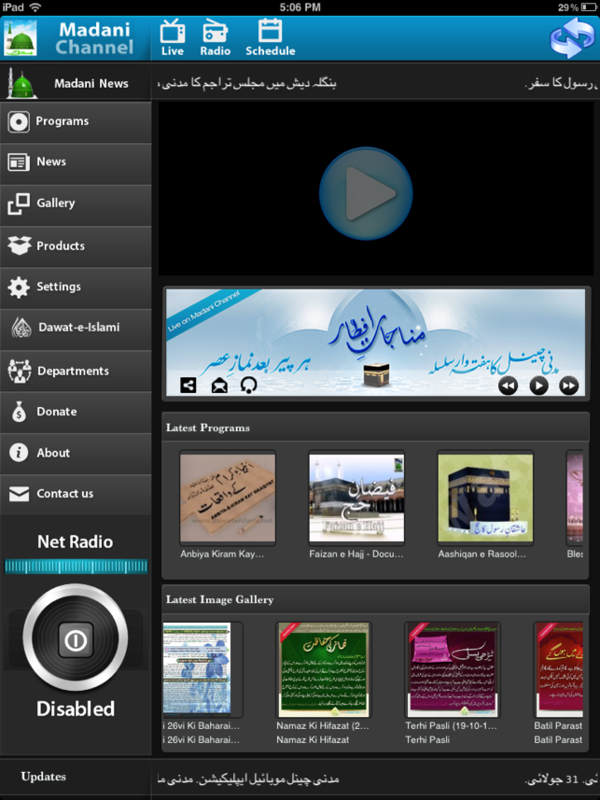 - Five Internet Radio service, user can listen Live Madani Channel with additional four other recorded Channels (Quran, Farz Uloom Course, Naats and about Hajj). - User gets updated about regular activities of DawateIslami and about latest products and website links. - User may access to approximately 8000 different Programs episodes via Programs’ menu. - Programs’ menu includes thousands of Madani Channel Programs, Madani Muzakarahs, and Albums, which can be searched in different ways. - Daily News Service with text version in Urdu and English is available with video. - Thousands of Images, latest Programs list, and Software products are also part of this application. - Sharing option by which a user can share the desired service to social media as well as by email. - User can send mail feedback to the I.T Department via Contact Us page. - Schedule of transmission is available along with date wise sorting facility. Kindly send your feedback and valued suggestions to the following email address: support@dawateislami.net. 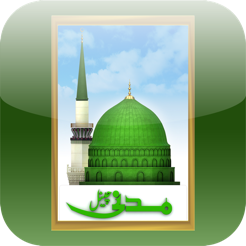 Raza Attari from Bangladesh, i m to needy this app, i am waiting this app. Very Thanks to our IT Majlis of Dawat e Islami. And its requested plz make Al Madina Library App for iPad's. One of its kind application ..